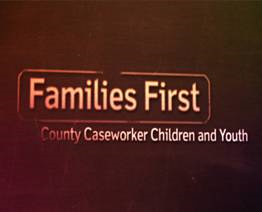 Children and Youth Services (CYS) investigates all allegations of child abuse and neglect, as mandated by state law. In all cases, the mission of CYS is to provide for the immediate safety and protection of children, to keep children with their own families whenever possible, to provide temporary, substitute care for children when necessary and to reunite children with their families as quickly as possible after placement. CYS provides a wide range of services to abused and neglected children from birth to age 18, and their families. CYS also provides services to adolescents who are at severe risk due to their behavior or that of their parent. We work directly with children and families in times of crisis. Services are provided in keeping with the agency's mission/goals. Services begin with a family assessment. Case management, counseling, and related supportive services are provided to the family when children can be safely maintained in their own home. If placement outside the home is necessary, attempts are made at locating relatives and friends as possible caregivers. During a child's placement, the agency offers rehabilitative services to reunite the family. When long-term or permanent placement is needed, a plan is developed that will best meet the needs of the child. Pennsylvania law encourages everyone to report any suspicions of child abuse or neglect in order to protect children. Certain professionals are required to report. How to Report Suspected Child Abuse or Neglect? ChildLine is available 24 hours to receive reports of suspected child abuse and neglect. This FREE 3-hour online course provides information on the recognition of child maltreatment, the obligation or opportunity to report child maltreatment, and the procedures for making a report of child maltreatment. This course can be completed by anyone interested (mandated and permissive reporters). The course is approved for 3 continuing education credit hours and has been approved by the PA Department of Human Services and Department of State to meet mandated reporting (Act 31) training requirements. Additionally, the course meets credit requirements for Act 126 (child abuse recognition and reporting). Information on how to become a Delaware County Resource/Foster Parent. This website provides information to assist Pennsylvania's youth making the transition from placement to independent living. This website, KeepKidsSafe.pa.gov, is designed to serve as the hub for information related to critical components impacting child protection including a link for mandated reporters to make reports of suspected child abuse electronically, training on child abuse recognition and reporting, information related to clearances and general information related to child protection. Children and Youth Services is committed to providing services in a family centered and strength based manner with attention to community and cultural awareness. The agency recruits qualified staff who can support the agency's mission in caseworker, social service aide, and clerical positions. Please contact Donita Wilkes, 484-502-6572, email: WilkesD@delcohsa.org for more information about current job opportunities.